The 2019 Nashville Pride Festival will be held on June 22 and 23, 2018 at Public Square Park, right in front of City Hall. Every year the festival features top-rated entertainment on three stages, Kids and Family Zone, Youth Area, and over 225 vendors featuring local not for profits, artists, and businesses. In the 2019 Nashville Pride will be celebrating the 50th anniversary of Stonewall with a full Pride Parade on Saturday June 22nd. More details on the parade will be coming in December of 2018. Nashville Pride features local, regional, and national acts each year during the two-day festival. Each year over 100 acts perform over the 2 days. The following are marketing examples of materials created for the festival. 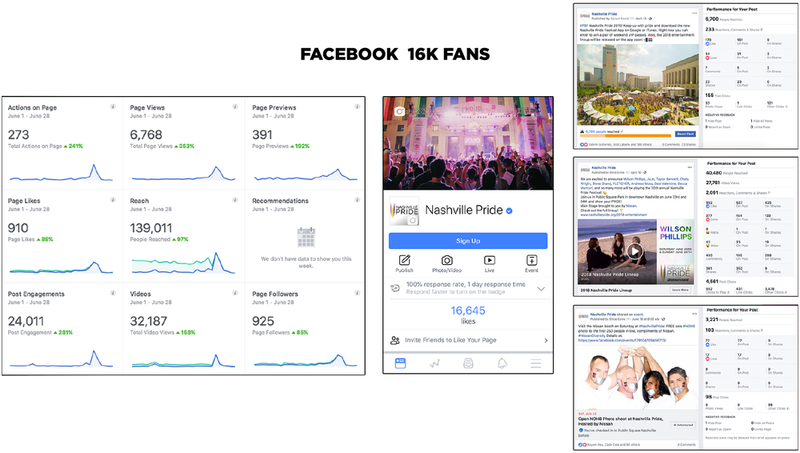 Advertising ran in local publications including Nashville Scene, Out & About, Focus, Nashville Arts, The East Nashvillian, and Nashville Lifestyles with a total estimated marketing reach of 3.2 million. Additionally, there were 2,000 posters printed and displayed in local storefronts. 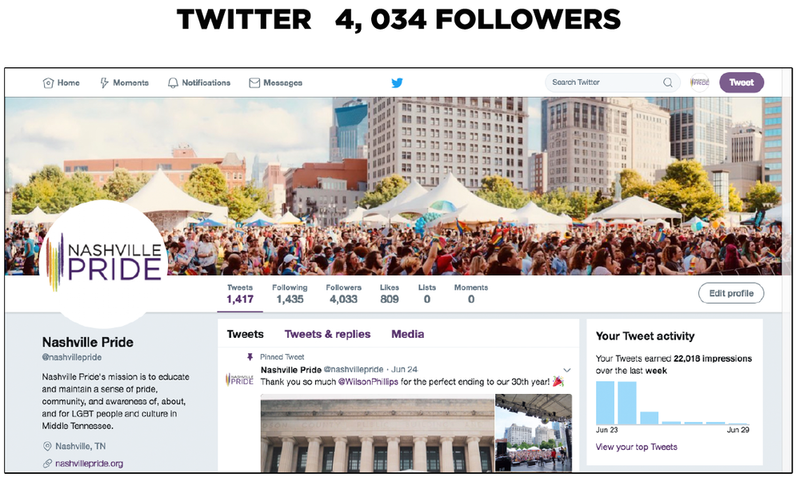 The Nashville Pride Mobile App provides up to the minute festival information including entertainment lineup, festival map, FAQs, news and social media as well as vendor information and ongoing contests.